Ok, who doesn’t love food?? Am I right or am I right? And in today’s age of high-paced jobs, parenting, and extracurricular activities, we (me included) look for the most convenient ways to get the weeknight dinner on the table in the timeliest fashion that doesn’t have us pulling the hair from our heads! One of the handiest gadgets that help with this universal goal of convenience comes in the form of kitchenaid mini food processor, and in this case, MINI food choppers, which can make dinner, become even more easy and doable on those busy weeknights (especially if you are not cooking for a ton of folks); we here at ReviewCart will continue by reviewing the top mini food processors thus far in 2018. Let’s see which one you can see in your kitchen! A major pro with the mini food processors is simply this: it is a perfect appliance for those who are not cooking for a large group of people, which can be extremely convenient. The Cuisinart DLC-2ABC minces those tough foods, such as garlic and ginger, as well as whole spices such as cumin seeds and nutmeg. If you so desire, it also works pretty good as a blender, so if you love hummus, for example, this would be a great buy for you! The bowl for this mini food processor can chip fairly easily, which is naturally, a huge frustration on the part of the buyer. The canister that contains also will detach from time to time, making an unexpected mess; it is definitely a good appliance, however, potential buyers need to be aware that it may not last too long. The Gourmia (ranging from $8.99-15.00 on Amazon), is equipped with a multi-purpose hand chopper, which is the best choice for a versatile kitchen tool that is amazing for mincing, dicing, and crushing various fruits, veggies, nuts, and whatever else you may need when tackling those recipes in the kitchen. 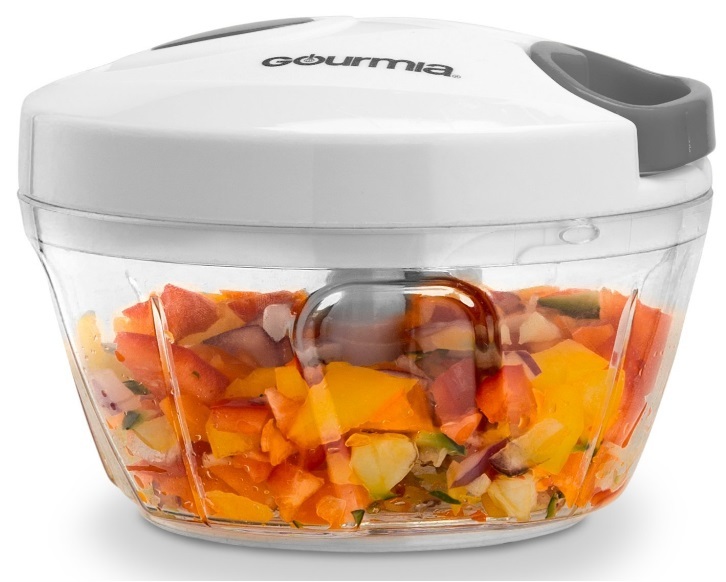 Although the Gourmia GMS9280 is small, it is incredibly powerful, with removable stainless steel blades; this mini appliance is also dishwasher safe and the perfect choice for any chopping, pureeing, or shredding that you may want to do. The Gourmia comes with an easy grip handle that is perfect for taking care of all of the small cooking needs, in addition to a chopping consistency that is amazing for a food processor of this size. For those of out there are tired of the hassle that comes with chopping and dicing, this is certainly a good option! Needless to say, as with most things, there is a downside and with the Gourmia it seems to be the bowl/container combo; the material is a bit flimsy, potentially resulting in hairline cracks and breakage of the bowl. 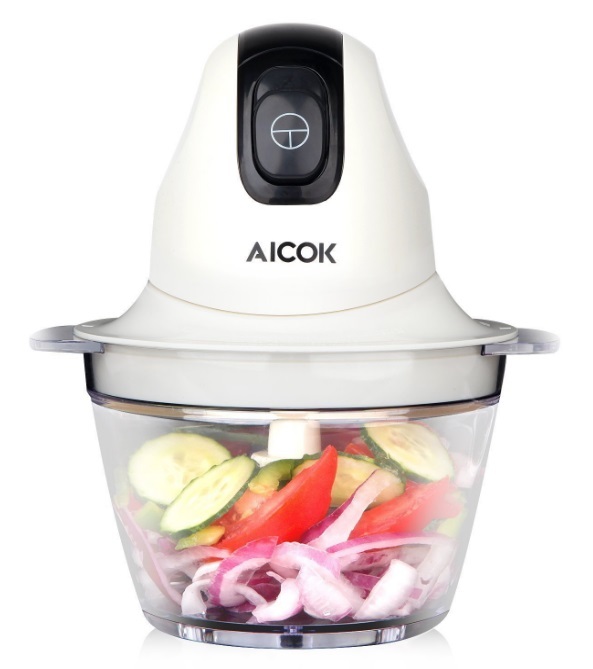 The Aicok comes in at about $24.00 on Amazon (plus tax obviously so keep that in mind); the features of the Aicok includes a multipurpose electric food chopper that can chop all of your favorite vegetables and fruits, from onions, apples, and anything else that you may decide to get festive with (because, yes, festive is a word). The blades of the Aicok are made out of stainless steel and are incredibly durable, yet lightweight; the plastic bowl that comes with the Aicok is BPA approved and guarantees a quick and easy clean-up, which is amazing for those who need to get dinner done and finished in a hurry (because there is nothing worse than a “hangry” child or spouse). The Aicok is space-saving and in this day of clutter that seems to come out of nowhere, this in a huge plus (FYI the Aicok can be used to feed up to 1-3 individuals, and for the size that it is, this is pretty impressive)! In addition to this bonus, anyone that purchases the Aicok will have a 2-year warranty, so if something does happen to go wrong, you will covered! Although the Aicok is defined as a ‘chopper”, so individuals may find better use to have it as a juicer; there may be some tricky points to get the motor on as well (yes, there is some self-assembly). I will say that with any issues you may have with the Aicok, you are at least covered by the warranty, so there is that protection and peace of mind- because let’s face it, no one product is perfect. The cup size of the Hamilton Beach 70440 is approximately 8 cups and includes a 450 watt motor that also has two additional speeds plus a pulse option, which can come in handy depending on what you’re blending/grinding up. 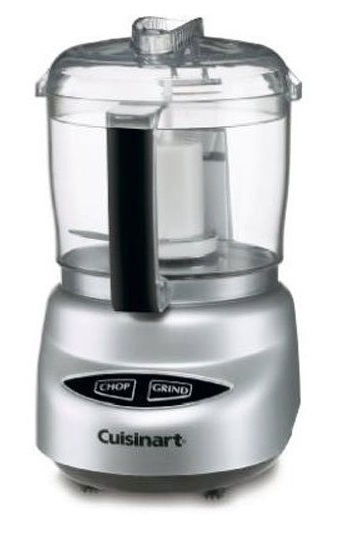 This small food processor is also dishwasher safe for all features (bowl, lid, and blades). For everything that comes with this 8-cup food processor, the price is extremely reasonable, costing you only about 21 bucks via Amazon; now, it may be a tad big for some potential buyers, but for this price, it’s pretty amazing. This processor is also amazingly good for making pie dough for all you bakers out there! 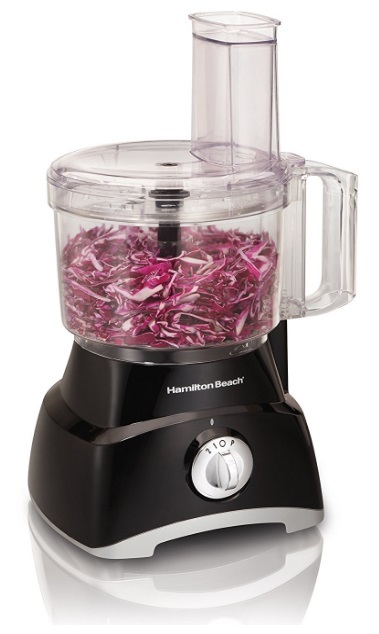 For some buyers, the Hamilton Beach 70740 broke only after a short use, mainly the shredding blade which has come off only after using one or two times for some individuals. This particular processor can also be relatively loud which, although not a deal breaker can be a pain to deal with…especially if you’re trying to create recipes while the little ones are napping (because there is nothing worse than having a baby woken up abruptly from that nap). The Proctor Silex 72500 is a compact mini food chopper/onion chopper that drastically reduces prep time in the kitchen, which is an incredible benefit to us all! The Proctor Silex has a 1-1/2-cup-capacity, transparent, work bowl that seems to be pretty stable and durable; the pulse function also offers both a good amount of control and consistency while making some of your favorite dishes. The processing blade is stainless steel and also removable, while being dishwasher safe for easy and convenient cleaning. This is a perfect processor for those who only need to make small amounts of goodies so not too big and not too small; the price is also pretty amazing, costing no more than 15 bucks on Amazon Prime. 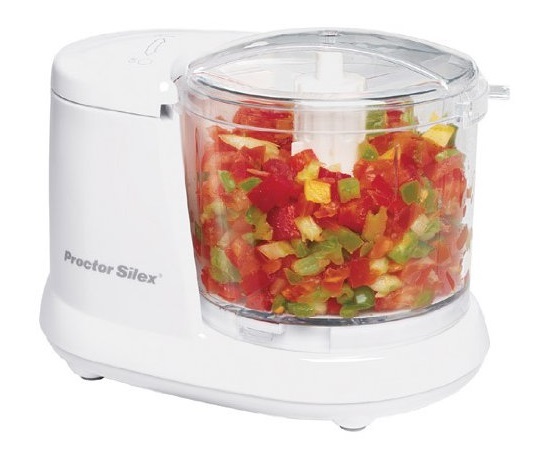 Even though the Proctor Silex is small in appearance, it has a powerful punch to it that allows it to dice and chop your favorite veggies at an impressive rate and speed. The plastic cover that comes with the Proctor Silex is a bit flimsy, in addition to the entire processor ceasing to work after only a few tries for some buyers. The bowl can also crack easily, which of course is not a good thing since you can possibly eat small bits of plastic and not even know! Overall, when it comes to selecting the best food processor for your needs, you certainly run the risk of purchasing a defect product, as with just about anything else that we buy online or even in store. Out of the food processors reviewed above, potential buyers should definitely determine what it is that they need (i.e. a single person probably wouldn’t need an 8-cup capacity processor) and how much they are willing to spend. Regardless of what kind of processor you buy, be sure to keep your receipt and look up the warranty that associated with the product….the warranty can be a lifesaver sometimes!